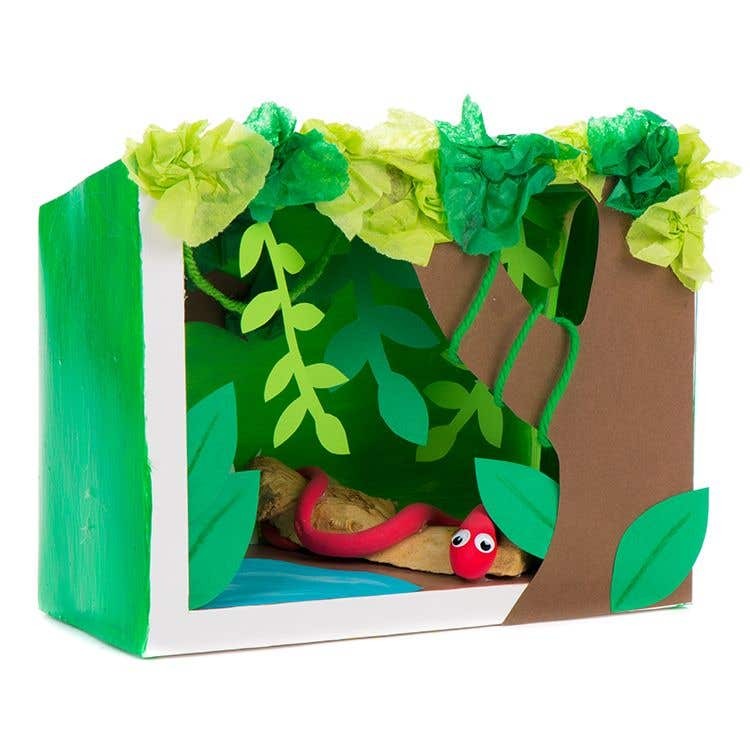 Make your own mini jungle scene using our diorama boxes. 1 hour plus drying time. Assemble the diorama box and glue together. 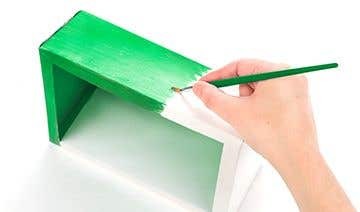 Paint the inside and outside of the diorama box with your chosen colours using acrylic paint. Leave to dry and then apply a second coat of paint. 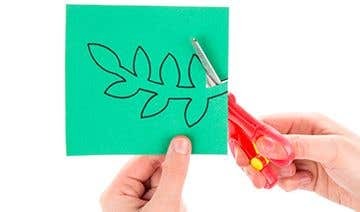 On coloured pieces of paper mark out your designs and with scissors cut out trees, different shaped leaves and a pond. Glue in place starting from the back to the front to create a sense of depth. Glue pieces of green tissue paper onto the trees to add extra texture for leaves. 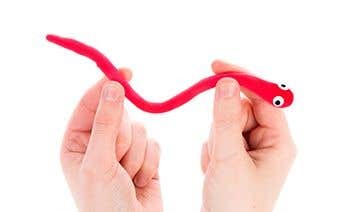 Create jungle animals from Crayola air dry model magic and add wiggle eyes to finish. Add wood offcuts etc and glue in place to finish. Start from the back to the front and add layers of detail to your diorama boxes to create a sense of depth to your scene.